Shinbidō (真美堂) was a Japanese camera shop in the late 1930s and early 1940s. It was an authorized dealer for the Mamiya Six. 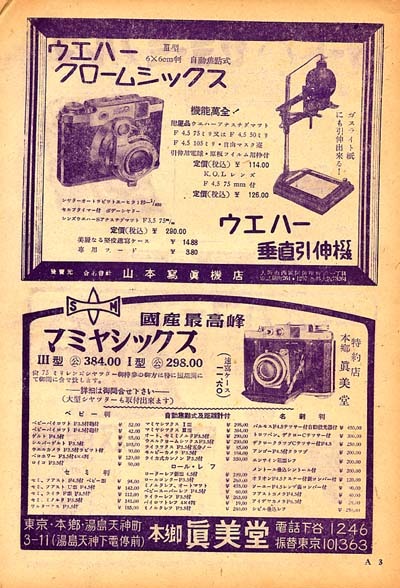 ↑ Advertisement for the Mamiya Six dated 1942 or later, reproduced in Nostalgic Camera by Toshio Inamura. This page was last edited on 31 August 2015, at 05:44.